The Customize Windows > Computer and Internet > Internet > Hypertext : What is Hypertext ? Hypertext is a text with a net-like structure of objects of information linked by cross-references or hyperlinks between the hypertext nodes. 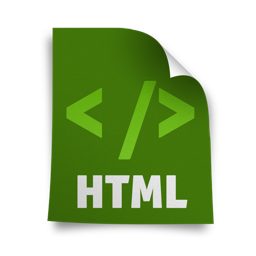 Hypertext is written with the markup languages, the statements provide the commands for the hyperlinks, the most famous is the Hypertext Markup Language (HTML) for web documents like you are reading this webpage. Hypertext offer the linear presentation of information to convey relatively complex information. The full method not only saves space, but also makes the maintenance to be displayed uniformly everywhere, where the value is associated. The associative structure of a hypertext corresponds rather the workings of the human mind as linear text. A problem with hypertext is the targeted location of information. While literate people for centuries has been trained with linear texts, beginning with the widespread adoption of the World Wide Web since the mid-1990s the reason arised to learn to deal with the complex hypertext. Today hypertexts have usually have a sophisticated navigation. Hypertextual structures have been known for centuries and in the discourse network of modern differentiated development tools.for linear texts such as tables of contents, indexes, cross-references and footnotes and any reference systems are functionally equivalent to a hypertext. The most widely used hypertext system today is the Internet service – World Wide Web (WWW), although it lacks some important features of the earlier hypertext systems. For example, the problem is the so-called dead links is unresolved. The introduction of the Uniform Resource Identifiers (URIs) is on the Web, fulfilled the need only partially. In return, the Web also allows the integration of non-speech data types such as images. This Article Has Been Shared 6650 Times! Articles Related to Hypertext : What is Hypertext ? Percent-encoding or URL Encoding is a mechanism to provide information in an URL under certain circumstances to ensure only certain ASCII characters are used. Title: Hypertext : What is Hypertext ? Cite this article as: Abhishek Ghosh, "Hypertext : What is Hypertext ?," in The Customize Windows, March 10, 2013, April 23, 2019, https://thecustomizewindows.com/2013/03/hypertext-what-is-hypertext/.